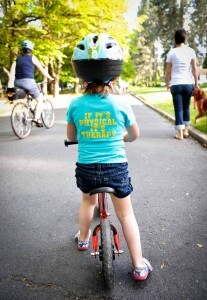 « What’s at Stake if Governor Inslee Cuts Historic Investments for Biking & Safety? 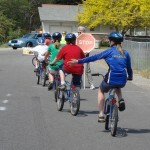 Today, Governor Jay Inslee announced a path to retain investments in the safety of our children on their way to school, special needs transit, and critical biking connections while moving forward on his agenda on reducing carbon emissions. Washington Bikes thanks Governor Inslee for making the choice that retains Washington’s historic transportation investments in bicycling, health, and safety. Over the past six months, thousands of caring Washingtonians asked state leaders in Olympia to make bold investments in our transportation future by making it safer and easier to bike and walk. They listened by investing $500 million in biking and safety projects in the transportation revenue package signed into law in July. Over the past eight days, Washingtonians affirmed the need to save those same historic investments and Governor Inslee listened, too. 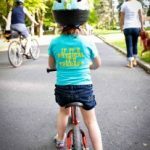 Over the past eight days, Washington Bikes highlighted what papers like the Seattle Times, Spokesman-Review, Everett Herald, and Tacoma News Tribune seconded: there’s broad, bipartisan, and statewide support for a once-in-a-generation opportunity to build bikeways and safer sidewalks for Washingtonians. 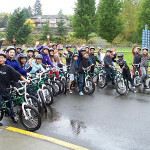 Numerous organizations and cities joined this call to action including American Heart Association, American Cancer Society, Foundation for Healthy Generations, League of American Bicyclists, Cascade Bicycle Club, Childhood Obesity Prevention Coalition, One America, Safe Routes to School National Partnership, Transportation Choices Coalition, and Transportation for America, among others. 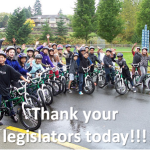 Thanks, Governor Inslee, for listening to the thousands of caring Washingtonians who want more investments in biking, health, and safer schools statewide. This article was posted in Advocacy, Alert, Infrastructure, Issues & Advocacy, Legislature. Bookmark the permalink. Follow comments with the RSS feed for this post. Both comments and trackbacks are closed.